I've never really gotten into Danish two-some The Raveonettes despite their supposed influence on the likes of The Drums, Dum Dum Girls and Glasvegas. But they recently announced details of a new album and gave away a rather lovely track from said album to celebrate. So now I'm on board. 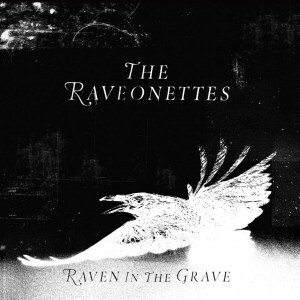 The album is called 'Raven In The Grave' and will be out in April. In the meantime, enjoy the beautiful, reverb-filled 'Forget That You're Young' below. It's kind of magical and melancholic at the same time, which perhaps surprisingly works rather well. More details on the album and US tour dates are available at theraveonettes.com.